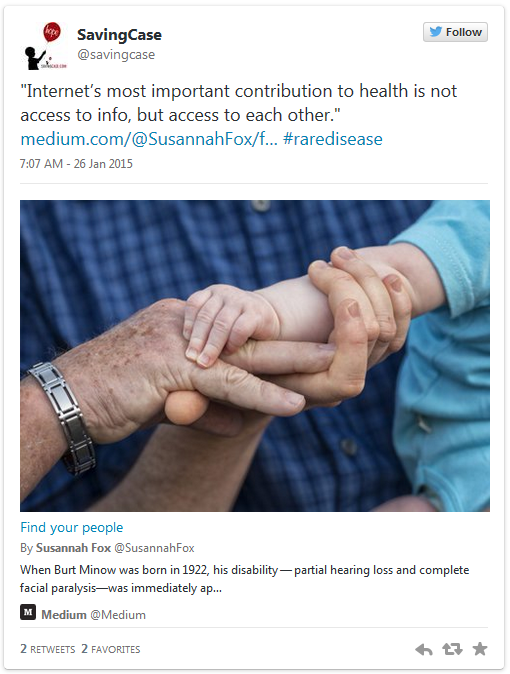 That patient-patient connection is number three in a list by Ilana Jacqueline, who wrote the Global Genes’ Rare Daily piece about empowering moments felt by people living with a rare disease. These patient-patient connections not only provide support, information, and a measure of comfort; they can grow into powerful advocacy groups eventually connecting (and often funding) researchers investigating their disease. In many cases the patient becomes the educator (educating doctors was #4 in Ilana’s list) and expert on what is already known about that disease, but researchers still play an important role in expanding that knowledge base. Now, imagine if patients could even more1 to advance research on their own disease? Would being able to say, “I helped discover that” be empowering? There are some examples of when patients or parents of patients became research experts and pioneered new discoveries about a disease, but that is not the norm. Our public beta test is a simplified experiment to prove that citizen scientists, rare disease patients, and anyone who can read can make meaningful contributions to biomedical research. Yes, machine learning algorithms might be useful for doing the task covered by this experiment, but they won’t be able to replace people when Mark2cure moves to the more complex tasks needed to answer questions raised by the rare disease community. And, they won’t be able to replace the sense of community that comes from working towards a common goal, or the empowerment that comes from being able to help yourself and others. Machine learning algorithms will have an important follow up role in scaling up the pioneer work that people do, but we still have a long way to go before then. Without your help, we won’t even get to the point where Mark2Cure will be truly useful to any rare disease or other research community. 1. even more than raising awareness and research funds, supporting and educating one another, participating in clinical trials, and advocating for national policies? Is that even possible? Not without your help. Thank you very much for your interest! You can join the current beta experiment by visiting: https://mark2cure.org/beta and clicking on ‘start now’. Any feedback, quest completions, and questions too will be very valuable contributions and we look forward to hearing from you. We are very dependent on users so please share Mark2Cure with any friends you have that might be interested.